The only thing constant today in business and customer lifecycle management is change. Organizations are having a hard time trying to be on par with the emerging trends in customer relationship management software through various stages in the lifecycle. Forrester analysts Bill band in on his report mentions that “CRM has become a top priority for continues business success.” CRM trends are vital elements of an organizations future sales performance. So what CRM trends should IT professionals and organizations accountable for transforming customer centric business processes consider this year-here are 5 emerging CRM trends that every business should be aware of. Gartner predicts the CRM Software market to grow at compound annual growth rate of 14.8% reaching $36 billion by end of 2017. Salesforce CEO ,Marc Benioff after forging a new alliance with Microsoft said - "The market has mostly spoken that the world is moving to services. We're moving toward an ecosystem of services.The best decision I ever made in the industry was to build Salesforce.com from the ground up more than 15 years ago with a philanthropic foundation." A research on CRM trends by Gartner anticipated that half of the customer relationship management software implementations in 2014 were cloud based. This is expected to grow by 14.8% annually till 2025.Gartner predicts that 85% of the CRM software usage will be cloud based. With better quality data, faster customer relationship management software upgrades and implementations, lesser upfront costs, cloud CRM will be the heart of digital initiatives for the years to come. A recent news story published on Techworld discussed about the migration of Seaco to AWS Cloud. To enhance its ERP system, the shipping container firm Seaco bid adieu to its data centre by moving its SAP platform to Amazon public cloud by completely evacuating their data centres in the first week of April, 2015.Seaco is experiencing some great improvements in ERP over their legacy systems after migrating to AWS cloud. The Director of IT services at Seaco stated that the batch jobs were executing 90% faster and AWS cloud has helped them bring down the run time for billing cycle by 70% which was a major pain point earlier. Gartner predicts that by the end of 2015 the percentage of companies using cloud based customer relationship management software will increase above 50%.The problem with on-premise CRM software systems is that every new development requires a costly upgrade. Thus with increasing number of updates and upgrades, companies prefer to switch to cloud CRM software rather than being trapped in new expensive upgrades of on-premise customer relationship management software as it involves decreased infrastructure costs whilst providing an adaptable platform for future growth. Seven years ago, Oracle was not willing to adopt the concept of cloud based CRM but recently Shawn Price, Vice President of Oracle in his keynote speech at Oracle CloudWorld 2015 agreed that with changing business models of companies and consumer behaviour ,their focus would be on cloud CRM solutions in 2015. The high profile security breaches on Target and Sony empowered wisdom on how vulnerable any network can be. The increasing cyber-attacks will force businesses to emphasize on effective cloud CRM solutions for security. ReportsnReports, a market research organization predicts that with increased demand for security in customer relationship management software applications, this market is anticipated to grow from 4.2 billion in 2014 to 8.7 billion in 2018. Microsoft has already accomplished its milestone by adopting an ISO standard to protect the personal information in cloud environments. This ISO standard will be applicable to Dynamics CRM Online, Intune, Microsoft Azure and Office 365.Microsoft is the first public cloud service provider that has accomplished this momentous goal. With growing shared knowledge base, cloud security will continue to be refined in sales CRM software applications. We can expect “Big-Data” style analytics to emerge as a major trend in cloud CRM software security for 2015 with complex analytics algorithms detecting anomalous network behaviour and any other malicious activities on the cloud network. 2015 will witness increased collaboration between security experts with Security-as-a-Service (SaaS) to play a vital role in Cloud based customer relationship management software applications to identify emerging threats with zero-hour accuracy. Social media is much more than a trend in this ever changing competitive world impacting all areas of business. In 2015, sales CRM software vendors will focus on social engagement so that businesses become knowledgeable about their customers. Nowadays, customers make their decisions based on online reviews and discussions. Conversations that used to happen in person now take place on Twitter, LinkedIn or Facebook. 2015 will see sales CRM software vendors investing in social listening tools to empower the sales and marketing teams of businesses to be customer centric at every point leading to more sales, more connections and 100% customer satisfaction. Microsoft Dynamics 2015 customer relationship management software update has enhanced social engagement. Marketers can now listen, analyse and drive customer engagement with social insights about their campaigns and brands being displayed on the platform. Microsoft social listening tool that comes with Dynamic 2015 update is free if the business has more than 10 professional users. It works well within Microsoft Dynamics Marketing, Microsoft Dynamics CRM, or standalone. Businesses can now access social listening information about their brand through Dynamics customer relationship management software to identify customer problems, discover more opportunities to up sell and add additional value to their business than other salespeople of competing organizations. 2015 will sense the onset of engagement with customers by businesses spotting trends through social pulse in ways never before possible - through Cloud CRM applications. As customers become more informed and connected; businesses have started to rethink upon the CRM software processes, software and strategies to surface the competitive advantage. Experts anticipate the demand for CRM software systems that include social customer relationship management software tools to be on the rise for 2015. Earlier customer relationship management software applications had limited functionality but 2015 is going to be somewhat different with CRM vendors investing a hefty sum to make mobile platforms of CRM applications more powerful. CRM vendors with powerful mobile applications have the potential to effectively organize the sales teams of a business so that they can spend more time selling. CIO recently published the launch of Sales Engage Cloud by Salesforce as one of the popular tech trends story on April 15 ,2015.Sales Cloud Engage will provide data, marketing content and deep insights on leads before engagement so that representative can craft personalized nurture campaigns without having to deal with the hassle of building ad-hoc marketing campaigns manually. Sales Engage Cloud will provide a provision to integrate these lead nurture campaigns with the Salesforce1 mobile app so that salespeople can add leads directly to their nurture campaigns from their smart phones. Sales Engage Cloud will also help salespeople pull up complete engagement histories of their prospects with the company. Salesforce announced the availability of Sales Engage Cloud at $50 per month for one seat by end of April, 2015. 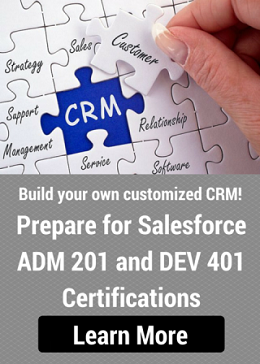 Become a Salesforce Developer and build enterprise salesforce applications. With “Bring Your Own Device (BYOD)” policies becoming common in most of the organizations, Gartner predicts that 30% of organizations nowadays issue Tablets as primary devices for salespeople. CRM software systems are piled up with so much of marketing and sales historical data that representative end up spending more time entering data than using it. 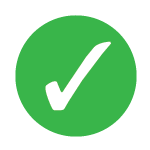 Companies will strive hard to strike a balance between data collection and ease of use in 2015. CRM software vendors are more on the forefront to have a simple and easy platform that will render support to mobile devices rather than having a complex system that nobody wants to use. Companies choosing a CRM software vendor with powerful mobile apps in 2015 will boost profitability with salespeople closing more deals, reporting more accurately and being geared up for better meetings. Wearable are the next phase of mobile revolution in CRM software which organizations will adopt to connect with their customers in new ways. Integration of wearable computing devices with CRM applications will help organizations across various industries to have real time access to account data, effectively engage with customers, and discover various opportunities for up-selling and cross-selling to enhance relationships with customers at every encounter. Wearables will revolutionize the manner in which organizations collect intelligence about their customers. 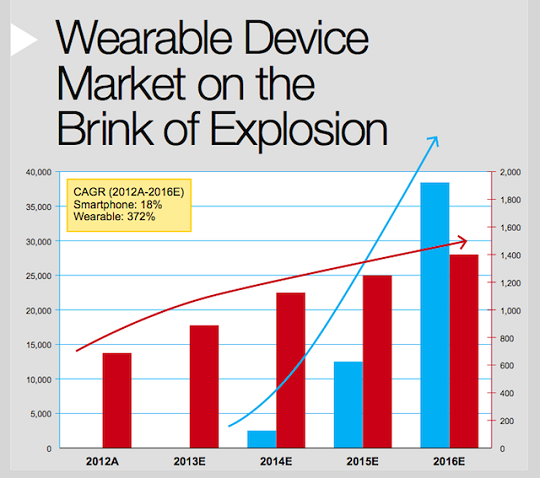 Wearables will become a powerful force in CRM trends as they can provide several data points other than just text. A recent news story on Enterprise Software by CIO revealed about Salesforce bringing its cloud service to Apple Watch. Salesforce already has partnered with Google and Philips healthcare wearable device makers and now its next venture is Apple. Cloud, mobile, social and data science revolutions will converge on the wrist in 2015 with Salesforce CRM software. 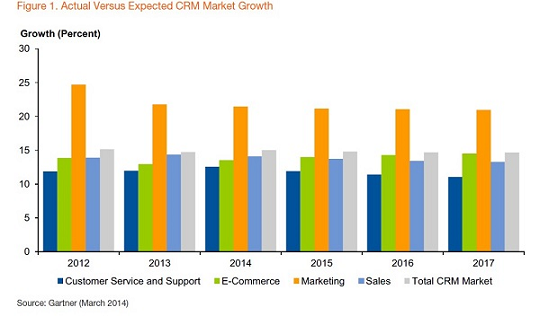 What do you think will be the most emerging trends in CRM software for 2015 that we have missed on? Please let us know in the comments below.